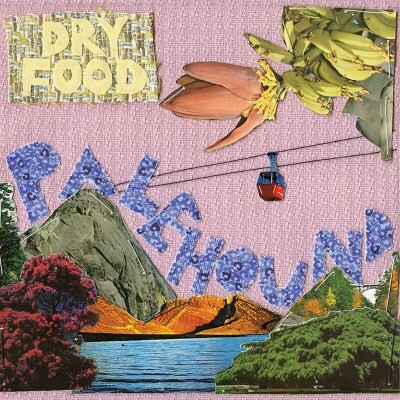 Palehound’s Dry Food is a rollercoaster (emphasis on the coast) of an indie-rock album. With colorful mood-changes and an indirect approach to open-hearted lyrics, the introverted, engaging work of New York’s Ellen Kempner has caught a lot of attention over the past few months. Delivering a dizzying blend of surf and fuzzy indie rock, Kempner shows that she’s not afraid to mess with style. The album sounds like a buildup on songs like 2013’s popular “Pet Carrot,” and it’s full of sometimes dreamy, sometimes chopped-and-grungy guitar and vocals that skip rather than rise into high notes along the way. The main difference is that Dry Food sounds louder and less diffident than Bent Nail, which makes sense when one thinks of the timing of the album. Caught off-guard by the amount of feedback on Bent Nail, Kempner responded by putting more serious time into the project this time around. Emotion is still the driving inspiration in Dry Food, and Kempner has further perfected her habit of spinning in trackless circles within a song. Kempner’s voice is soapy-syrupy and bittersweet, and it drops into bopping sighs when delivering lyrics that sound like difficult-to-admit secrets or worries. On one of my favorite tracks, “Cinnamon,” Kempner mixes glittering language with those same, halfway confessions: “Fiending / Peeking at the centerfold / Cutting tinsel into gold / And hoping you won’t love me still.” In the same song, there is the most charming lyric about a marksman “jonesin’ for a cigarette,” which has been stuck in my head for weeks. These infectious lyrics slide along over a shaky, surf-rock jangle that shimmies through the song like a bouncing prismatic light. It easily calls to mind the well-known sounds of Mac DeMarco, but also the whimsical, psychedelic jams of Melody’s Echo Chamber. And yet, Kempner’s way around a guitar and her manner of singing also throws back to such ‘90s essentials as Elliot Smith and Pavement, among others. Even with a pot full of obvious influences here, this album doesn’t sound too similarly to anyone, but still manages to sound like it would fit right in if it were actually released during the years it hearkens back to. In “Dixie,” Kempner sings in a long-over-it sigh, sounding like someone who is too used to her own voice. The lyrics on this piece are incredibly open to interpretation, mentioning dreams about people with “naked breasts like eyes,” which sounds like an image that could only have been conjured out of a dream. She coughs as she sings “dixie cup” just as she sings about gagging into one. The coughing bit really got me, because it’s just too appropriate. Did she mean to do it? Is she actually gagging at the thought of what’s making her sick? Is she just mirthfully poking fun at her own lyrics? Kempner seems to be very aware of her own emotions, so she’s able to pick and choose when to be transparent and when to veil her meaning in flowery disguises. Whatever she means to say isn’t clear, but it’s that lack of clarity that loans a definite sense of disquiet to the whole album. It’s a colorful disquiet, though. The ever-changing moods and poetic lyrics weave dreamlike images in a way I don’t think I’ve noticed in many albums. Listen to this album if you need something dreamy and vivid and sweet—it’ll provide for you.